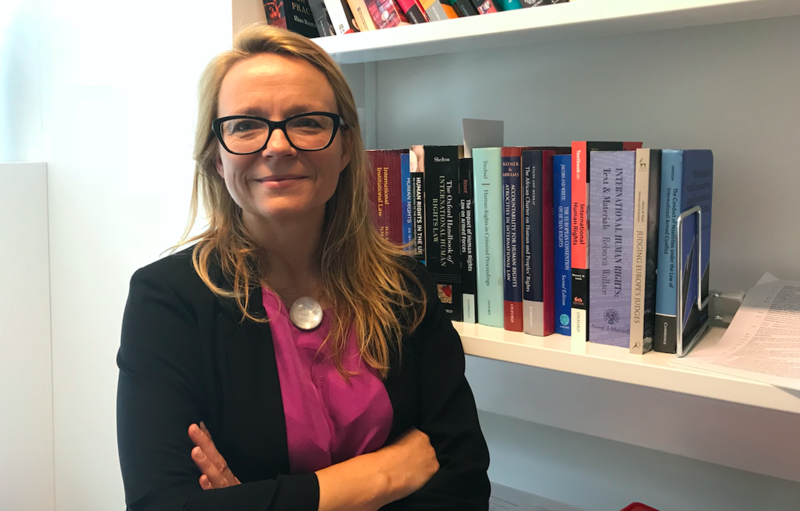 Helen Duffy, professor of human rights and humanitarian law at Leiden University, and director of Human Rights in Practice, has just published a review of ‘strategic human rights litigation’ – a growing area where lawyers increasingly use courts and other bodies to protect human rights of individuals by holding states to account. She uses case studies, especially of litigation she has worked on, to illustrate the challenges and impact of this work. One of her cases recently made the news when alleged high-level Al Qaeda operative Abu Zubayadah won against Lithuania in the European Court of Human Rights over torture he experienced as part of the CIA’s rendition programme in the ‘war on terror’. The ECHR is a regional human rights mechanism where individuals or victims of violations can bring cases against any of the 47 member states of the Council of Europe to seek redress in respect to the violations of their human rights. Individuals can bring cases based on any violation of the European Convention on Human Rights or relevant protocols ratified by the state to the ECHR. The interview is published here as part of our #MyJustice series. It has been edited and condescend for clarity. Justice Hub: What’s this case all about? Helen Duffy: The case of Abu Zubaydah against Lithuania before the European Court of Human Rights concerned the violation of the rights of our client, Abu Zubaydah, the first victim of the so-called extraordinary rendition programme introduced by the CIA in the wake of the 9/11 terror attacks. Approximately 57 states participated in the rendition programme in one form or another. One of those states was Lithuania which hosted a black site – a secret detention and interrogation centre – on its territory. This detention centre was run by the CIA but the Court found Lithuania violated its obligations under the European Convention on Human Rights by allowing this to happen, by actively cooperating with and facilitating all aspects of the programme, and by failing to conduct an effective investigation or to hold those responsible to account. Justice Hub: What happened to Abu Zubaydah in this black site? Helen Duffy: We now know a lot about what has happened to Abu Zubaydah in the programme in general – he was captured, transferred to multiple sites in Thailand, Poland, Morocco, Afghanistan and Lithuania, detained secretly in unlawful detention, removed from the protection of the law and subject to horrendous acts of torture. This included slamming his head into concrete walls, detaining him for days in a coffin, depriving him of sleep for eleven consecutive days, denying him essential medication, threats, sexual violence, waterboarding him repeatedly to the point he had to be resuscitated, among others. We know the standard conditions of transfer, detention and enhanced interrogation techniques were all used on our client and approved at the highest levels. We don’t have specific information about what exactly happened to him within the walls of the Lithuanian site because of course there are inordinate problems with access to evidence in a case like this, as the court recognised in the judgement. By its nature iswas a covert operation specifically designed and carried out so as to disguise information. We see this in the filing of dummy flight plans for example, use of front companies and as the Council of Europe Human Rights Commissioner described it, there has been a concerted cover-up by states, including European states, since. Another challenge is that Abu Zubaydah, 16 years on, is still in arbitrary detention in Guantanamo Bay. Information from him could not be shared with the court – neither his affidavit nor power of attorney – because of so-called presumptive classification of anything that he says and information about him. But there was enough evidence from lots of different sources for the court to find beyond reasonable doubt that he was there, held in black site secret detention between 2005-2006. Lithuania was the last European black site and the court found that it was inconceivable that this type of programme could have been carried out, that a detention centre could have been run on its territory, without it having knowledge of its nature. Despite this Lithuania failed to offer protection and instead lent its active support to the CIA in violating his rights. Justice Hub: He’s been described as some kind of senior person within Al-Qaeda? Helen Duffy: This case, of course, is not about that. It’s about his rights as a victim of torture, unlawful detention and enforced disappearance of persons. But there has been an enormous amount of misinformation put into the public domain about our client.For example, when he was captured it was said that he was the number 3 in Al-Qaeda. Elsewhere it was said that he was a senior lieutenant for Bin Laden. But for example, if you look at the U.S. Senate Select Committee on Intelligence report that came out in December of 2014, which had unique access to internal CIA documentation, they found that there was no basis for those allegations, no support even from within the CIA documentation. The UN ombudsperson (in charge of the Office of the Al-Qaeda Sanctions List) recently recommended his delisting and he was delisted from the UN Security Council 1267 sanctions list, supporting the case that he was not a member of Al-Qaeda. The government doesn’t even allege that he is a member of Al-Qaeda any more. Once he got access to lawyers they dropped that allegation that had been previously made publicly. But those lies – frankly – have been repeated in so many quarters ever since then and there is no forum within which he can refute them. So no, he is not a member of Al-Qaeda. But we have also said that if there is any evidence against him of criminality then please prosecute him, submit him to a fair trial so he has the opportunity to defend himself. But that hasn’t happened. He is still being held without charge or trial 16 years later. 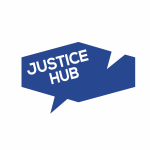 Justice Hub: Given the secrecy of the programme, how did you manage to find evidence to defend your client? Helen Duffy: There was a massive amount of public source information at this stage, which is interesting in itself given that it was intended that we would never know about this. There were a series of different sources and the court’s judgement goes throughthem and does a good job of summarising publicly available information. On the basis of an array of sources it reaches the conclusion that is beyond reasonable doubt that Abu Zubaydah was detained in this secret detention centre in Lithuania. Some of those sources come from investigations that have been carried out in national parliaments. The US Senate intelligence committee investigation was a big source of information. There was also a parliamentary inquiry from within Lithuania, and at Council of Europe level parliamentary inquiries were significant in terms of highlighting the different roles of multiple European states. CIA cables and internal memoranda are now publicly available that make clear the nature of the programme and what happened to our client specifically. Of course also NGO reports and investigative journalists have been extremely important in uncovering facts too. Then a careful mapping of flight data and analysis by investigators and experts helped to reveal the true nature of this CIA flights and the true routes that those flights took. Lithuania’s own investigative files contributed to an extent, to support the facts and making clear the inadequacy of the investigation. The Court also took witness testimony itself. So the answer is an accumulation of many diverse sources of evidence over time have contributed to elucidating the truth about the programme and responsibility for it. Justice Hub: You say that your client is still detained and not on trial in Guantanamo. So what does it mean – to him – to have achieved this kind of success? Helen Duffy: I think that’s a very important question that we need to ask. It’s significant for the applicant, but its not enough obviously. I hope it will be used as a tool to pressure for some real justice for him in whatever form that takes. But I also think it’s important that he is recognised as a person and a victim of human rights violations. The judgement recognises his humanity and that he has been a victim of these terrible violations and has the right to a remedy, which matters especially given all the false things that have been said about him publicly. I think the judgement also shines a light into that dark place in Guantanamo Bay where he is still held with no legal basis and no remedy. I hope it also catalyses more attention to his case. He needs to be tried or released. It’s just unbelievable that he’s sitting there 16 years as a so-called forever prisoner. He’s had no habeas corpus review [which is a recourse in law through which a person can report an unlawful detention], no charges, no trial, no intention to try or to release him. He is called a “forever prisoner”. It is an unthinkably unjust situation. Anything that we can do to expose that and to focus attention on it has to be worthwhile for him and for justice more broadly. Judgements like this rarely solve problems on their own but they are still potentially significant in a number of different ways. The judgment contributes to the historical record and to our own understanding of what happened in this atrocious programme of extraordinary rendition. I think it also sends a message that there will be some measure of accountability and oversight, and that absolute impunity cannot be guaranteed, even in the dark areas of international cooperation and counter-terrorism. At the end of the day, we will be able to bring the facts to light and there will be a measure of oversight and accountability for wrongs committed in that context. We probably do not know the real significance of the case yet though. It depends on what happens next. The judgement shows the need for lasting change in a number of different ways. First of all for our client. But it also needs to come for Lithuania and other countries involved. The court emphasises their duty to investigate, the right to truth that corresponds not only to victims but to society, the importance of accountability and a rule of law approach that are all lacking now. I think those are some of the things that need to happen now, and much depends on whether these processes are used as a tool to that end, and reckoning with the past. Justice Hub: Do you see the way states collaborated with the ‘war on terror’ as some kind of an aberration? Are we now moving back to the rule of law? Helen Duffy: I am not sure aberration is the word I would use. I think the rendition programme is really the low point in the war on terror, which has been and continues to be characterised by widespread human rights violations facilitated by active cooperation between states. The war on terror has been disastrous for the rule of law but we can learn lessons from it. One way we learn lessons is by reckoning with the past, by trying to understand not only what happened but why it happened and who was responsible for it on lots of different levels, in terms of states, institutions and individuals, and holding them to account. Then we have a chance of preventing it from happening again and as you say moving back to a rule of law approach. But we have a way to go yet. Justice Hub: There has been also some suggestions that these judgements on the rendition programme might be able to be used in some way for the International Criminal Court’s potential investigations into crimes that happened in Afghanistan. The prosecutor has already mentioned the CIA black sites in her preliminary examination. Do you see that as a possibility? Helen Duffy: I wouldn’t want to overstate the connection because they are different processes with different objectives and standards of proof. What the European Court case does is it adds judicial weight to the fact that there were these secret detention sites on a number of states including states that were party to the Rome Statute [the ICC founding document] at the relevant time and the nature of the violations that took place there, including enforced disappearance, systematic torture and secret detention all of which are relevant to understanding the nature of the crimes. It helps establish facts concerning the global, systematic nature of the crimes. I think the crimes committed against our client and many others qualify as crimes against humanity so I would hope that would be considered in the prosecutor’s investigation. It also feeds into and lends support to the importance of having that process of accountability, and highlights the impunity to date on the national level. Justice Hub: In terms of the bigger picture does winning a case like this make you say “yes, things are working better now”? Helen Duffy: I wouldn’t say that things are working better now in terms of human rights in general. We have to be honest that it’s a fairly bleak time for human rights. On the other hand, I do think we can draw hope from some developments. One of those is the fact that have courts and institutions which can provide redress to victims, and push back to reinforce the law and prevent the long term erosion of rights. The role of the courts is more important now than ever in the face of such extreme government excess. In face of the refusal of national authorities to investigate and prosecute crimes like these, international courts and tribunals have to step into that breach, whether it’s through criminal prosecution or in this case human rights mechanisms that try to hold the state to its obligations to investigate, prosecute and provide reparation.